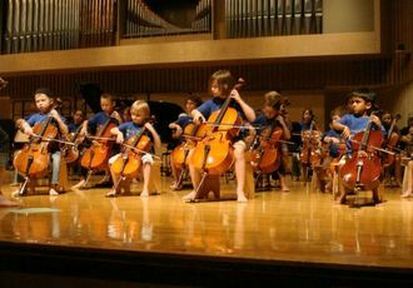 Welcome to The Buffalo Cello School! ​The BCS program seeks to cultivate a community of learners who recognize and regard beauty, participate and delight in the creative process, and develop the patience to work daily for gradual results; these qualities grow in the context of a strong parent-teacher partnership, the goal of which is to support parents' efforts to raise joyful, confident children. In addition to its core Suzuki Method program, BCS welcomes school orchestra students, advanced students preparing for auditions, and adults. Please see the Students tab for enrollment options.